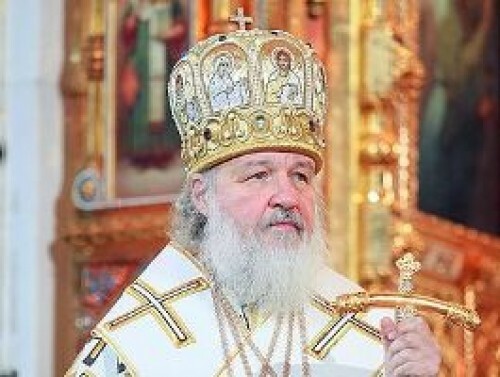 Moscow : The head of the Russian Orthodox Church on Monday announced that a deal had been struck for a prisoner exchange between Ukrainian authorities and the self-proclaimed popular republics of Donetsk and Luhansk in the east of the country. "Today, the process of coordinating all the details regarding the exchange of prisoners of war between the 'Donetsk Popular Republic', 'Luhansk Popular Republic' and Ukraine has come to a completion at St. Daniel's Monastery," Kirill said, as quoted by Interfax news agency. "I hope that the upcoming prisoner exchange that will begin the process -- because not all of those remaining in captivity for a while have been included in the lists -- but I express my ardent hope that this first stage will entail further efforts to release those imprisoned," Kirill added. Meanwhile, Zakharchenko suggested the exchange would use the "306 for 74" formula, meaning Ukraine would free 306 captured rebels while the pro-Russia militants would release 74 Ukrainian soldiers in exchange. "This would be a very serious step in the implementation of the Minsk agreements and issues of peace in the Donbas region," said Viktor Medvedchuk, leader of the Kremlin-aligned "Ukrainian Choice" group. According to the United Nations, more than 10,000 people -- including both combatants and civilians -- have died in eastern Ukraine since the conflict erupted in 2014.